MCRRC race dates are created in the 4th quarter of each calendar year. Because the race days can at times change based on many different variables – we encourage you to visit mcrrc.org to confirm the race schedule. 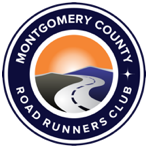 The MCRRC website is the go-to for the correct, up to date race schedule. Below is a list of races that we typically have in each season. The current race schedule for future races is here.